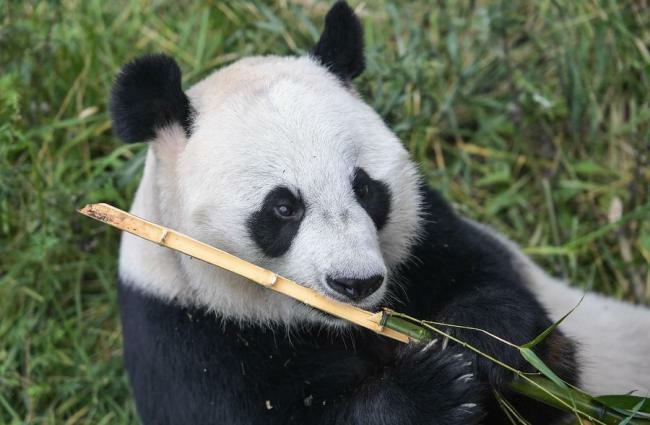 A group of researchers have recently found that giant pandas have particularly clever tooth enamel, which can recover its structure and geometry to counteract early stages of damage. Teeth are animals' natural weapons of attack and defense and tools for chewing food. Pandas are the representative animal with sharp teeth. Ninety-nine percent of their food is bamboo, and the teeth are the key for them to eat that food. "The tooth enamel of giant pandas is capable of partially recovering its geometry and structure at nano- to microscale dimensions autonomously after deformation to counteract the early stage of damage," said Liu Zengqian, a professor from the Institute of Metal Research under the CAS and a member of the research team. The ingenious design of the panda's tooth enamel allows it to withstand a daily diet of bamboo – a material of remarkable strength and toughness. When there is an impact on their enamel, a variety of different deformation mechanisms place to mitigate the growth of small cracks and prevent the formation of large cracks. "Tooth enamel possesses an exceptional durability and plays a key role in the function of teeth. However, it exhibits a remarkably low resistance to the initiation of large-scale cracks comparable to geological minerals," said Robert O. Ritchie, another researcher.